We are sorry to hear that your homeline services aren't operating correctly. Let's get them up and running! If you have a dial tone and can make calls although you are not able to receive them, the following checklist will help eliminate some of the most common causes of this problem. Check your Flip My Account for any call diversions and test again with this feature disabled. Check the ringer volume on your handset to ensure that it is not on mute. If you are unable to receive all incoming calls, we next recommend completing an isolation test. If you are not able to receive calls only from certain numbers, note down the concerned phone numbers, date and time of calls. Collect 3-5 examples and then contact our team with this information. If you have transferred your services to Flip from another provider and your homeline has stopped working since the completion of the transfer, we recommend getting in touch with our team. 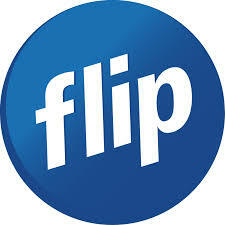 This is to ensure that your homeline has been correctly provisioned on your Flip account. The inability to make phone calls can be caused by a variety of reasons. This checklist will help eliminate some of the most common causes. If you have no dial tone, we recommend completing an Isolation Test as this might help resolve the problem you are experiencing. Are you attempting toll calls (calls that are not free to complete)? In this case, we recommend reading this article. If the numbers you are calling are not toll calls, record the numbers, the date and time of calls, and what you experience when attempting to call the particular numbers. Collect 3-5 examples and contact our team. If you find that you’ve performed all these steps, and you haven’t found a possible cause for your homeline issue, contact our team. We will complete some final checks before reporting a fault.